It’s strange the things you remember. I recall an English lesson once when we read a poem that was about your senses sometimes being heightened when you are grieving. In this case, the poet casts himself on the ground, distraught, and notices for the first time that “The woodspurge has a cup of three”. 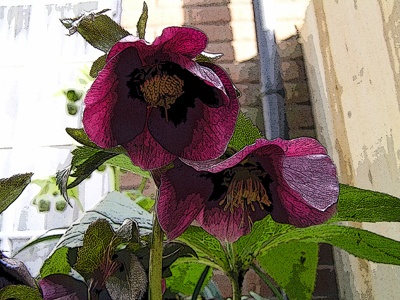 You can read the poem, by Dante Gabriel Rossetti, at the end of this post. 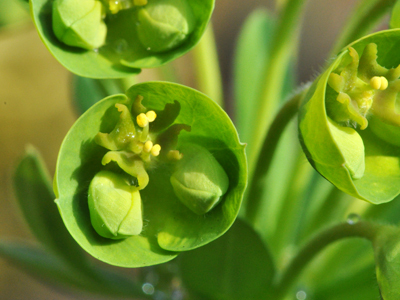 The woodspurge is Euphorbia amygdaloides, although to be honest I visualised it as the sun spurge that grew as a weed in our garden, Euphorbia helioscopia. Well, as I often find, I have spent most of my life getting it wrong when it comes to a word’s etymology. However, as I think I prefer my version, I will start off by saying where I always thought “crestfallen” came from. A replica Greek helmet with crest - shiny! 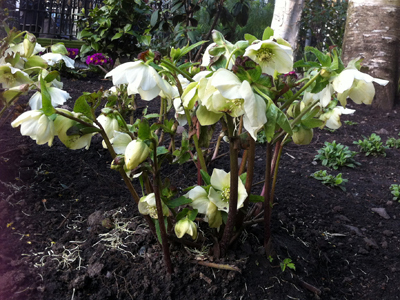 My hellebores are in flower at the moment (and have been for months), but I have only just realised that this is the RIGHT time for them to be in bloom. Oh how we love our daffodils, here in Wales. 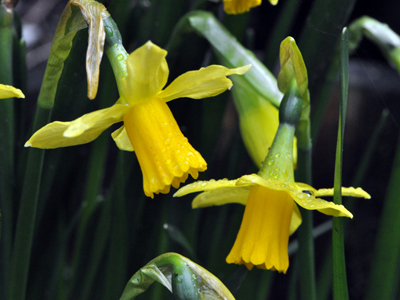 And especially today, March 1, St David’s Day – our national day. We have a choice – to wear a daffodil or a leek – so most people choose the daff and an easy way is to buy a charity daffodil pin from Marie Curie Cancer Care. I’ll be wearing mine.